MAHWAH, New Jersey (WABC) -- A somber candlelight vigil was held in New Jersey Monday night, in memory of a teenager killed in a car crash over the weekend. 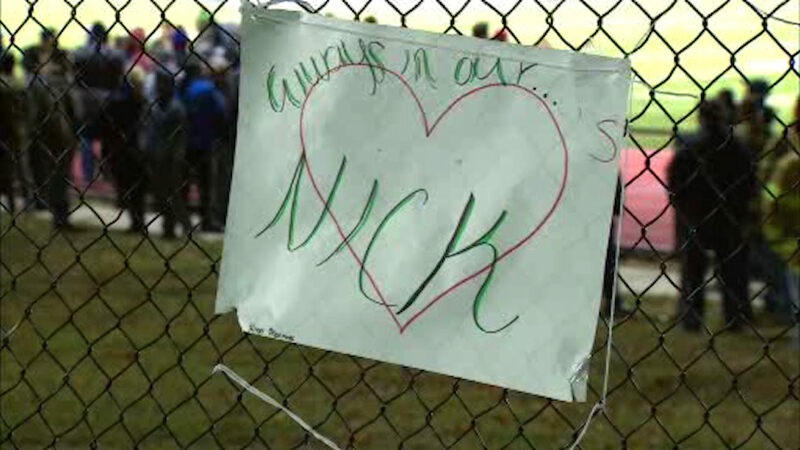 Dozens of people gathered on the football field at Mahwah High School to remember Nicholas Lauerwald. He was killed Saturday night in a single-vehicle crash. He was a passenger in a car filled with six teenagers that struck a tree. One of the other passengers was also hurt.